Today, Zen Pinball FX3 is finally releasing on Nintendo Switch. It’s a free download, which means you don’t have to pay a single cent to download it. However, there’s a “catch”: most of the tables need to be purchased separately. In this post, you will find all there is to know about that DLC: tables and packs available, pricing, file size, and more! Features various original tables, created by Zen Studios. Features two tables: Adventure Land and Son of Zeus. Features a table based on Portal 2, including a hidden mini-table with Ratman. Features a table based on the popular The Walking Dead series. Features several tables based on Family Guy, American Dad!, Bob’s Burgers and Archer, each one with 15 game modes. Features 3 tables inspired by the Alien series. Features several tables inspired by Back to the Future, Jaws, and E.T.. Features two tables: one inspired by CastleStorm, and one called Wild West Rampage. Features two tables: Epic Quest, and Excalibur. Features three tables: Mars, Paranormal, and Earth Defense. Features four tables: Pasha, Rome, Biolab, and Secret of the Deep. Features 4 remastered tables: El Dorado, Shaman, Tesla, V12. 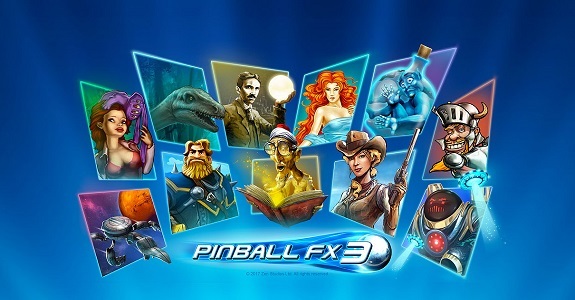 Zen Pinball FX3 (Switch – eShop) comes out today in Europe and North America.